Real estate agents have a bunch of choices when it comes to picking a CRM for their business. The tool has become part of the standard operating process for the most successful teams, mainly due to the fact that consumers are more independent than ever before, and need to be nurtured over time instead of sold to in a one-step process. Someone looking for a home isn't going to contact a real estate agent right off the bat. They're going to take to the internet to research homes in their price range with the kitchen of their dreams. Agents, therefore, need to meet those consumers where they are, and convince them they've found the right agent. The best real estate CRM for agents is the one you actually use. Were you expecting that answer? It's true! Whatever CRM you actually use will be the one that is best for you. That's because, when it comes to CRMs, you get out what you put in. The calls you make, the notes you jot down in the system, the more emails you automate, the more data and leads you will generate and the more properties you will sell over time. So, if the best CRM is the one you actually use, then any CRM you choose needs to be....well, easy to use. That's just one of the reasons we think Firepoint is the best. If a CRM is clunky, or you have a difficult time logging information or navigating through information, agents won't use it. Their job is fast paced enough as it is, and it requires them to pick up the call at any second and speed to a lead. If it takes too long for them to do that within their CRM, then the information won't be logged and you won't gain the insights the CRM could offer. Firepoint's dashboard was built with the user in mind. We often say it was built for agents BY agents — and that's definitely one of its best traits. We know what you need in a CRM, and which features will be the ones you use, because we've had to use them. Lead Ponds: Speed to lead faster than ever before. As soon as a qualified lead comes in, it is routed to the shark tank and alerts agents to check in and follow up — ASAP! Organize your dashboard to your preference: Set filters to search for leads as they relate to lead source, last visit to the site and even number of homes favorited. You'll be able to see who is thinking about real estate and when they're active online to connect more easily. 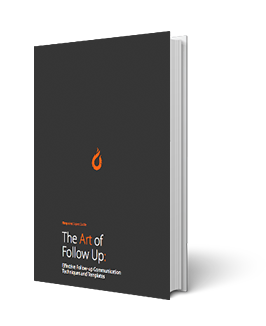 Streamline communication: Never let communication fall through the cracks again. Within Firepoint, communicate with your fellow agents and team leads and access note records for leads. You deal with a lot of people in a day. This way you can keep track of all communication to better act on it. Support team: You'll get a dedicated Firepoint account manager to help you set up your CRM during the onboarding process and to advise you as an extension of your team whenever you need. Integrations: Firepoint integrates seamlessly with other amazing software to make your sales activity as productive and efficient as possible. Ad campaigns that work: You're the one with the pulse on your market. Set your target area, property type and price points to zero in on the hottest leads for you. Ad reporting: We are Google Premier Partner certified, so you know your ads are in the right hands. You'll be able to analyze reports on how well your campaigns are working to influence further advertisements with laser focus. Plug-and-play templates and custom pages: We provide you with built-in email and website templates to get you started. Use them out of the box or alter them to your personal preference — they'll impress your leads every time. Saved searches: Personalize your research and home suggestions for your leads. Use the qualifications based on their search history to provide the most relevant and useful home listings in saved searches. MLS Refresh: Never use outdated information. Our MLS connection pulls updated information every 15 minutes, so you're always giving your clients the most relevant listings. Track ROI: It can be difficult, as an agent, to pull all levers to accurately measure your ROI across all lead sources and efforts. Firepoint tracks all that information and provides comprehensive reports. Compare data by lead source: Break down your ROI by lead source and be able to double down on that source in the future. These reports will enable you to get the most out of your money. Minimize data entry: Firepoint will break you free from wrestling with spreadsheets and wasting valuable sales activity times on reporting. Make the most of your valuable time! Remember — the best real estate CRM for you and your team is the one you are going to use. Whichever software that ends up being, if you make the most of your CRM you will see the ROI come back to you within a few months. Think about it. What is the monthly cost of a CRM? Whatever it is — if it helps you sell even one more home, using an average commission value of $7,000, you're already looking at the CRM paying for itself. So, what are you waiting for? Invest in your business.